Your Instagram account won’t know what hit it after you fill your feed with the incredible snaps taken on this eight-day tour through Israel. Explore the winding alleyways of Jerusalem’s Old City, see Petra’s stunning tombs and monasteries carved into rock walls, learn about Bedouin culture during an overnight stay in the desert, and hit the beach in Tel Aviv. On the brink of settling on the tourist track, now’s the perfect time to experience the country with your budget and an exploratory spirit in mind. 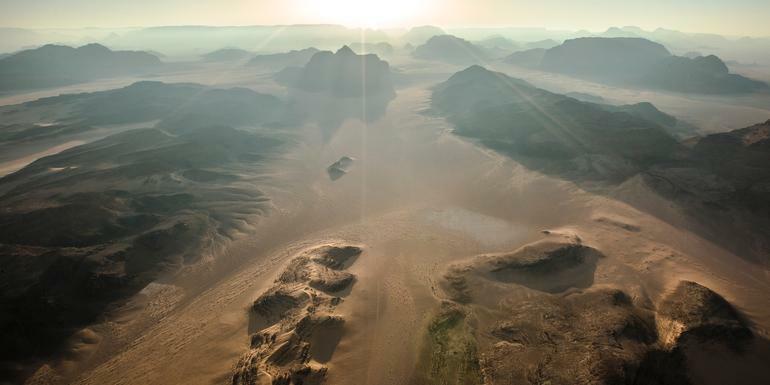 Wadi Rum is an eerie valley with its towering cliffs of strange and fantastic shapes. Lawrence of Arabia camped here in the midst of the Second World War.